The Birkin Style Bag from Karoo Classics, South Africa. A good bag makes everything you're wearing special. Wherever it's from and however plain it is. It's going to be a family heirloom. If you look after it and don't get Biro on it by mistake. A good bag costs less per wear than loads of cheaper ones as a) you'll use it more and b) it'll last longer. I'd sooner buy one really good bag once a year than loads of cheaper ones. This could, of course, be self-justifying bulls*t to justify my bag habit. Er ... Busted! If I ever become one of the last, rich and famous international playboys, my dream purchase is a Hermes Kelly or Birkin bag. 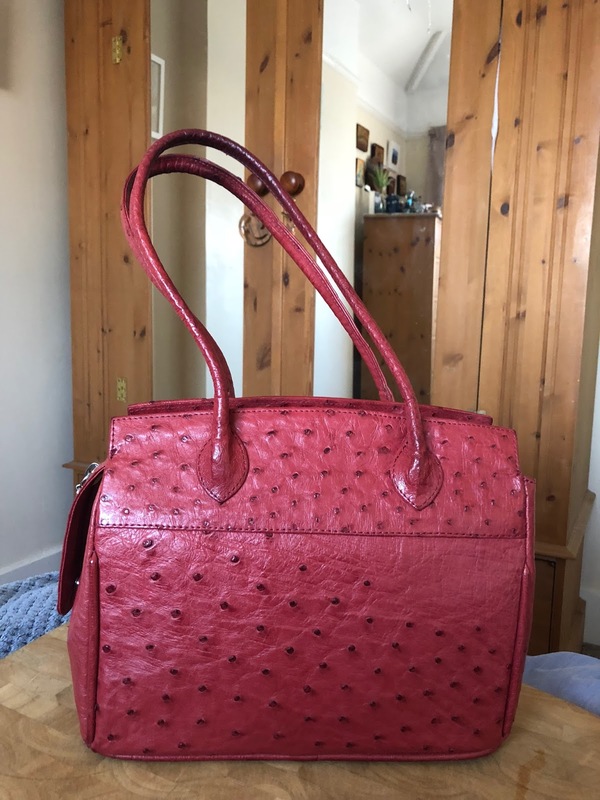 (If you’re not a bag nerd, the shape is similar, but the main difference is that the Birkin has two handles and the Kelly has one). This is nothing. My boss has decided that, should he win the lottery, he will come to work dressed as Marie Antoinette. If it’s good enough for Elton! I am so praying this in! Hermes bags start at £6,500 so I won’t be owning one anytime soon. (That sound you hear is Rev T’s heart rate returning to normal!) Instead, I resorted to Le Knock Off. Purchased in Cape Town from Karoo Classics. 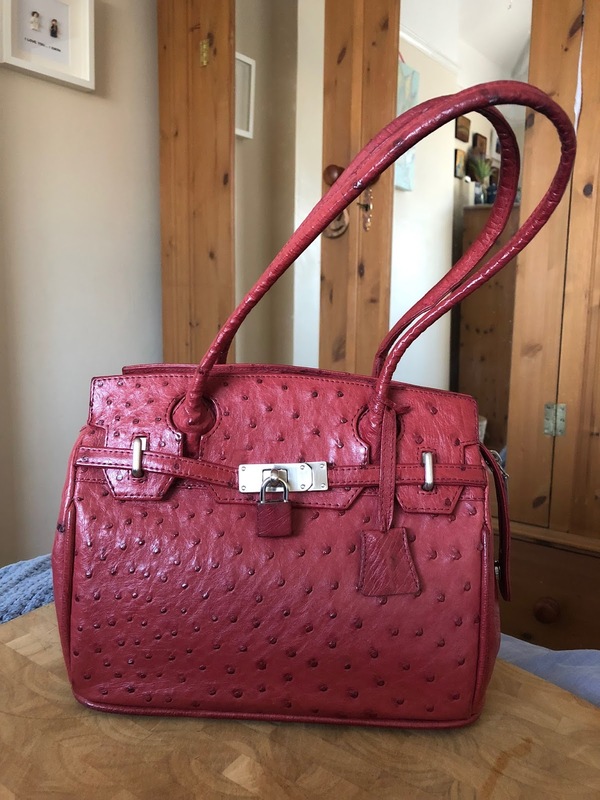 This Birkin style bag is in red Ostrich leather and is suede lined. As it was out of season and the owner was willing to do us a deal, the price wasn’t that bad. No, I’m not going to tell you! If you do go to South Africa, the leather goods are amazing and well worth a look. I'm loving my bag. Very pretty! I agree with you about economy on bags (think also true for shoes) - less at better quality is more economical in long run.